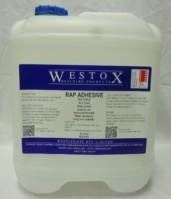 Penetrating acrylic adhesive for concrete. Waterbased, restores the alkaline properties to spalling concrete by preventing further corrosion. Patching: 1 part RAP Adh to 3 parts water as gauging water.